American Grizzly is a Rock & Roll band of sorts influenced by all things past, present, and future. From tube-screaming “noise rock” to the minimalist approach of rural American folk music, this band transcends any one genre and hits many of the stops along the musical landscape. Pairing well-crafted song writing with tasteful sonic euphoria and sometimes tones that elicit bouts of melancholy, American Grizzly creates music for current times. 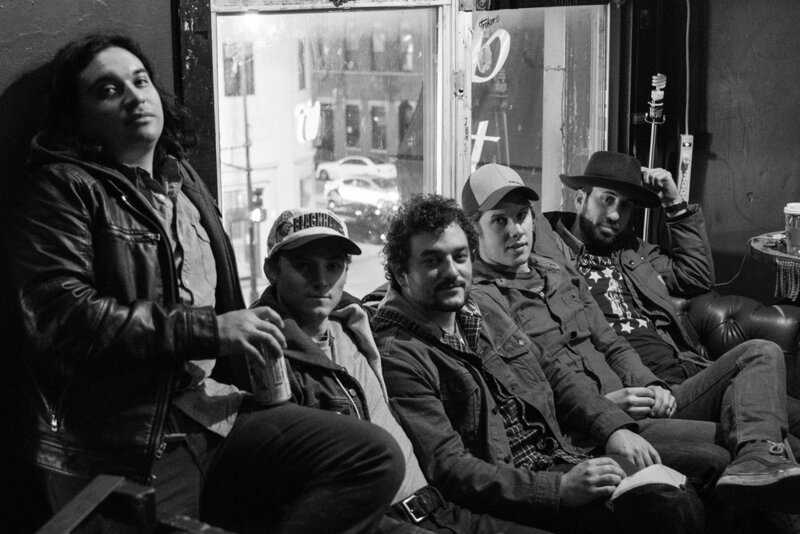 After years of shaping their craft in basements, garages, bowling alleys, and taverns, American Grizzly has heeded the call for original artistry with recordings and are actively supporting their efforts with live performances. Based in Chicago, Illinois, the band is comprised of Matt Ladd on vocals, Jack Doyle and Dennis Wilson on guitars, Marty Funk on bass, and Anthony Perez on drums. Petty, Neil, Hendrix, Dylan, The Band, Auerbach, Aretha, Dylan, Garcia, Petty, Lennon, Mic, Keith, Ray Charles, Natural Child, Brian Wilson, Allman Bros.,Freddie King, Jeff Tweedy, Pete Townshend, Clarence Carter, Denney and the Jets, John Prine, Stevie Wonder. Listen to: "Rock 'n' Roll Cigarettes"
Listen to: "When Love Is Found"
Listen to: "Spoon Feed It"
Listen to: "Love Somebody Else"
Listen to: "Cabin by the Lake"